From the early 17th century Lee became ‘home’ to a small number of large houses for the extremely wealthy. Several still remain – two on Old Road, the Manor House (now library) and Pentland House – used for student and other housing, along with The Cedars on Belmont Hill. 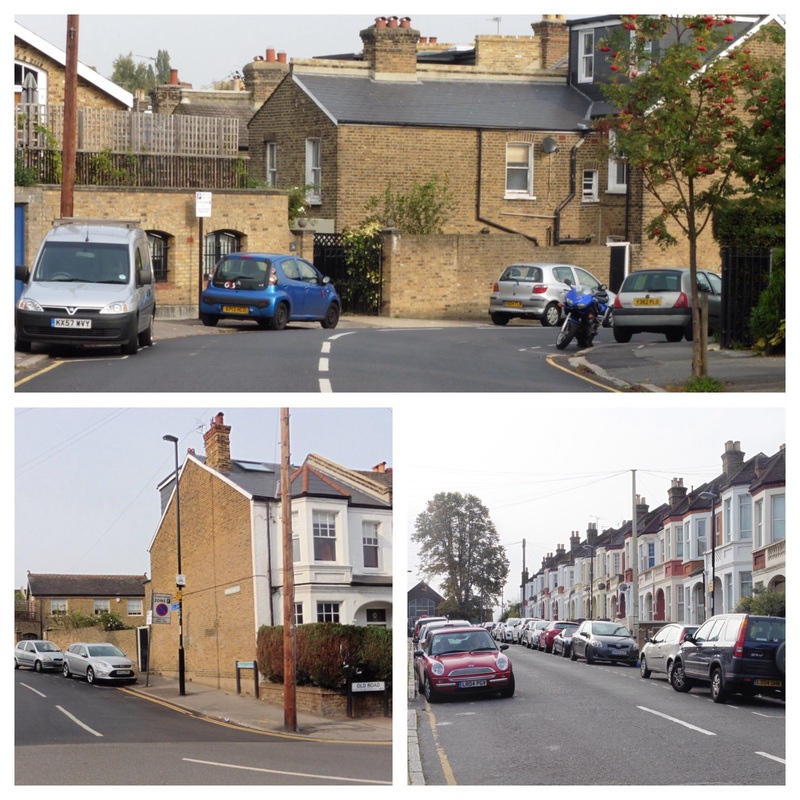 Several were lost to Lewisham’s development – notably, Lee Place – which was covered on the blog last year, and what latterly was referred to as Dacre House. The Firs was a large early Georgian house, on the corner of Old Road and Manor Lane Terrace, like Lee Place, it is long gone but its presence is still visible in the post-demolition street patterns in the area, particularly the on the western side of Old Road in Roads such as Abernethy and Lochaber. The Firs was a large red-brick house was a built around 1700 as the ‘town’ residence for the Papillion’s, a prominent Huguenot banking family who had prior to that lived in Norton Folgate in Spitalfields as well as having a country house in Acrise, near Folkestone. Three generations of Papillion’s lived at The Firs over the next century – the first two owners Phillip, who died in 1736 aged 80, and David who lived until 1762 were MPs for Dover. The final owner, another David, passed away in 1809, when The Firs was sold. The house had a series of owners after the Papillion’s sold the house in 1809. Notable amongst these was, General Edward Paget who had been second in command to the Duke of Wellington for a while in the Peninsula War, before becoming Governor of Ceylon and then Governor of the Royal Military College at Sandhurst. The Firs was later home to the Sladens, who were described as ‘hospitable at home, also charitable to the poor of Lee’ – their family tomb is in the old churchyard at St Margaret’s Lee and is listed – Joseph lived at The Firs until 1855, when the house was sold. The last owner was John Wingfield Larking (1801- 1891), who probably moved in after the Sladens – he was certainly on the electoral register by 1862. Wingfield Larking was a member of a wealthy Kent family who had been a merchant in Egypt and British consul in Alexandria between 1838 and 1841. 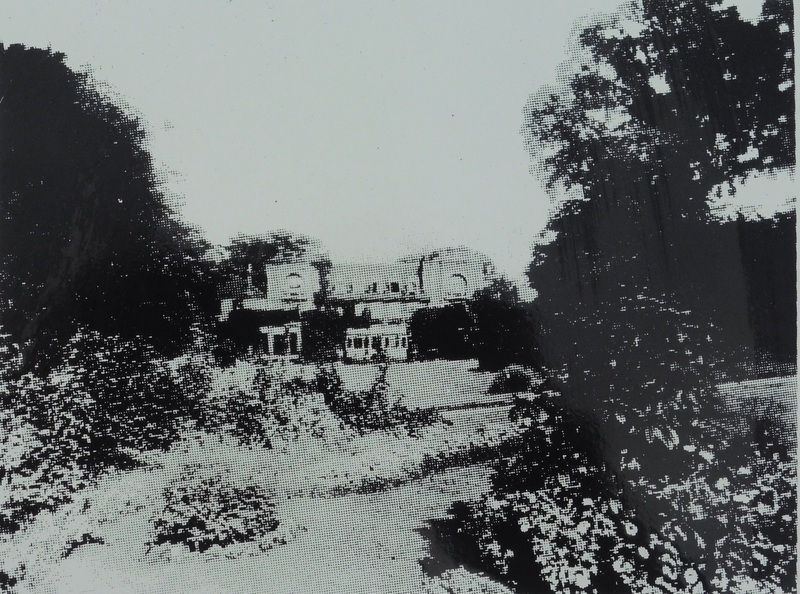 One of the more interesting features of the latter years of The Firs happened in 1884 when Wingfield Larking appointed a young Thomas Sanders, who had been working as a gardener at the Palace of Versailles, to look after the grounds. Sanders created a winter garden and a series of large conservatories at The Firs. The winter gardens became well known and a trio of pictures were painted by Arthur William Head. For Sanders, The Firs was a stepping stone and he moved on to edit Amateur Gardener in 1887. Sanders settled in Ladywell and became a Councillor for Lewisham Park in 1912 – his story in interesting enough to do a post in its own right at some stage. His gardens only lasted a few years longer – Wingfield Larking died in 1891. The area changed rapidly after Wingfield Larking died; The Firs was sold and by 1894, OS maps show the first homes on Lochaber Road and Lee High Road had already been completed on the former estate, and the housing on the western side of Old Road, Abernethy, Murillo and Rembrandt Roads would soon follow. I had hoped that the research for this piece might unearth the reasons for the two Scottish road names, Abernethy (a village in Perth & Kinross) and Lochaber (an area in the Highlands), perhaps through a builder or developer with Caledonian connections. There were several, such as James Watt and Archibald Cameron Corbett, who worked in south east London at the time, Watt built and managed the nearby Lee Picture Palace. Sadly no definitive links have yet be found. 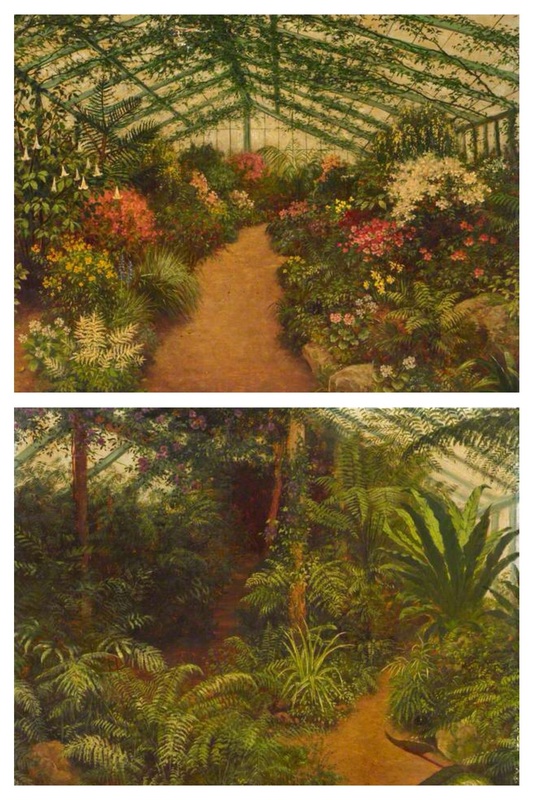 The three pictures by Arthur William Head (a view of the house, the Fernery and the Winter Garden) are owned by LB Lewisham and are accessible via the Local History and Archives Centre, but have been made available through the BBC’s Your Paintings site; images and data associated with the works may be reproduced for non-commercial research and private study purposes. Non Commercial research includes blogs such as this. 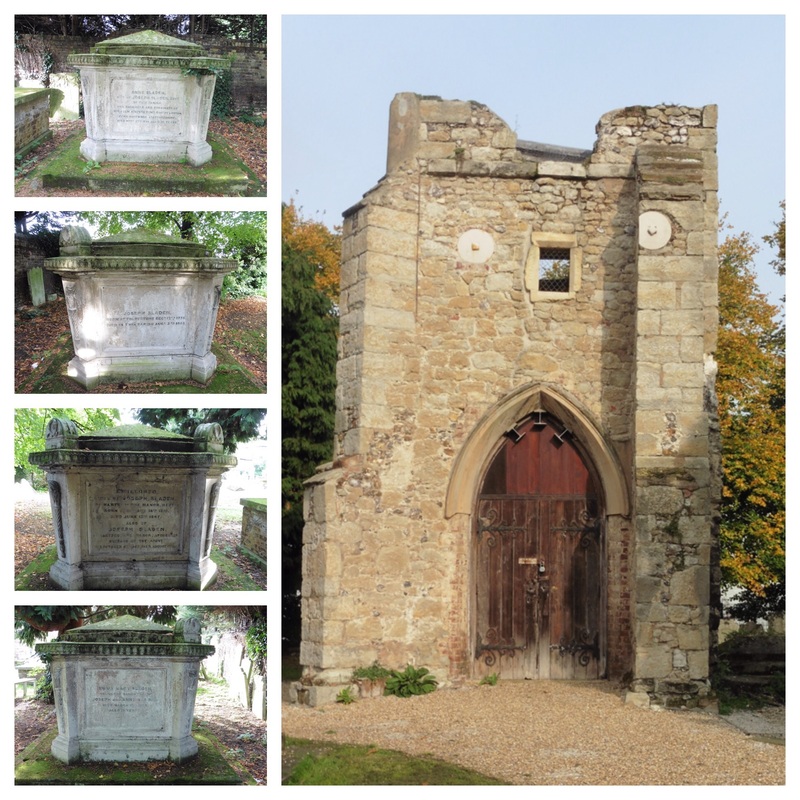 The black and white picture is photographed from the information board on Brandram Road, opposite St Margaret’s church. This entry was posted in Lewisham History and tagged The Firs - Lee, Thomas Sanders on October 15, 2015 by Paul B. Always a bit depressing to see the monstrously boring stuff that replaced such amazing mansions and gardens. Maybe you are right but at the time London was growing and the land that the big houses in Lee had was presumably becoming valuable. Lee had changed too – Lee Place which was on the other side of Old Road had been sold 70 years before and part of that had been used for the working class housing of Lee New Town about 300 metres away. Dacre House, another of the big houses had gradually sold its estates and was about to be demolished too. So Lee wasn’t the upmarket area it once was so and The Firs would have been a big house in an urban setting rather than the country house of even 20 years before.